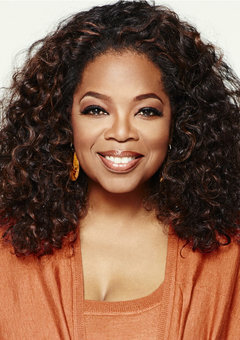 Organizers of Time Inc.’s (NYSE:TIME) ESSENCE Festival today announced that world renowned television host, actress, producer, philanthropist and entrepreneur Oprah Winfrey will appear at the 2016 ESSENCE Festival in New Orleans, presented by Coca-Cola, on Saturday, July 2, 2016 at 4:00pm at the Ernest N. Morial Convention Center. This will be the first time in the event’s 21-year history that Winfrey will appear at the ESSENCE Festival. Winfrey joins speakers Bishop T.D. Jakes, Ava DuVernay, Rev. Al Sharpton, Misty Copeland and Tyra Banks, as well as performers Mariah Carey, Kendrick Lamar, Maxwell, Puff Daddy and The Family and many more at the annual event – recognized as the nation’s largest gathering of African-American women. The annual ESSENCE Festival in New Orleans, presented by Coca-Cola, is one of the nation’s largest live events. Each year, the Festival draws, on average, 500,000 attendees from across the globe to its multi-day entertainment, empowerment and cultural event, which generates an economic impact of more than $200 million to the local economy. Now in its 22nd year, the ESSENCE Festival has featured some of the biggest names in entertainment and the nation’s most influential speakers, authors and leaders, including Beyoncé, Alicia Keys, Prince, Janet Jackson, Kendrick Lamar, Kanye West, Usher, Mary J. Blige, Stevie Wonder, Chaka Kahn, Aretha Franklin, Jennifer Hudson, Barack Obama, Hillary Clinton, Rev. Al Sharpton, Deepak Chopra, Steve Harvey, Ava DuVernay, Rev. Jesse Jackson, Magic Johnson, Iyanla Vanzant and many more. Join the ESSENCE Festival community: Follow us on Twitter @essencefest #EssenceFest and become a fan of 2016 ESSENCE Festival® on Facebook. The 2016 ESSENCE Festival® is executive produced by ESSENCE Festivals LLC, a division of ESSENCE Communications Inc., and produced by Solomon Group. 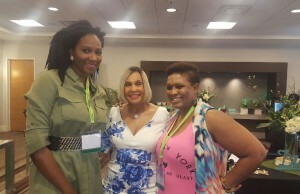 GeChar is the executive producer of the 2016 ESSENCE Empowerment Experience. 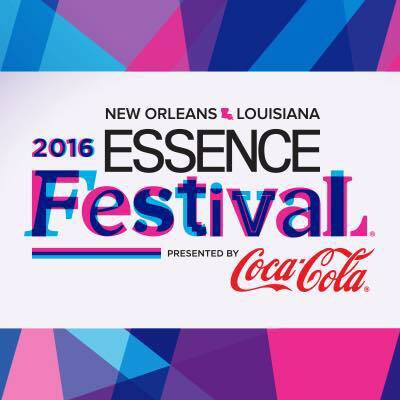 Exclusive sponsors of the 2016 ESSENCE Festival® include presenting sponsor Coca-Cola and major sponsors Ford, McDonald’s, State Farm, Verizon and Walmart. Superlounge sponsors include Coca-Cola, Ford andWalmart. The All-Star Gospel Tribute is sponsored by Walmart.